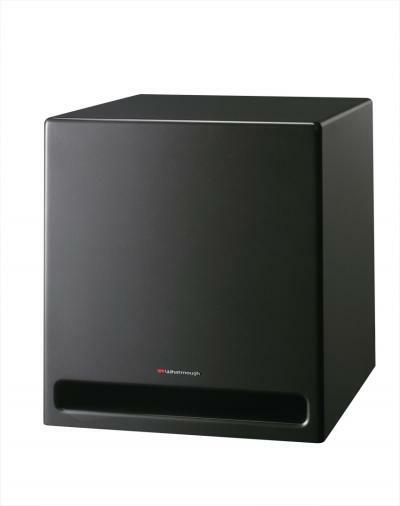 The Impulse2 subwoofer design acoustically rolls off at 24dB per octave above its cut off frequency of 100Hz. Total harmonic distortion is also reduced to the same extent when compared to a conventional direct radiator subwoofer whether it is sealed or vented. This means that the Impulse2 produces much lower amounts of harmonic distortion and therefore less degradation in the upper bass and midrange frequencies than conventional subwoofers. Not only will the bass sound cleaner and tighter, the upper bass and midrange will not be adversely influenced by this subwoofer. This is particularly important in a subwoofer designed to reproduce music and not just movie sound tracks. Bass and midrange 10? Cellulose fibre coned driver with extremely long linear excursion (36mm) and a huge 3? voice coil. This driver is capable of higher output than most 12? drivers.